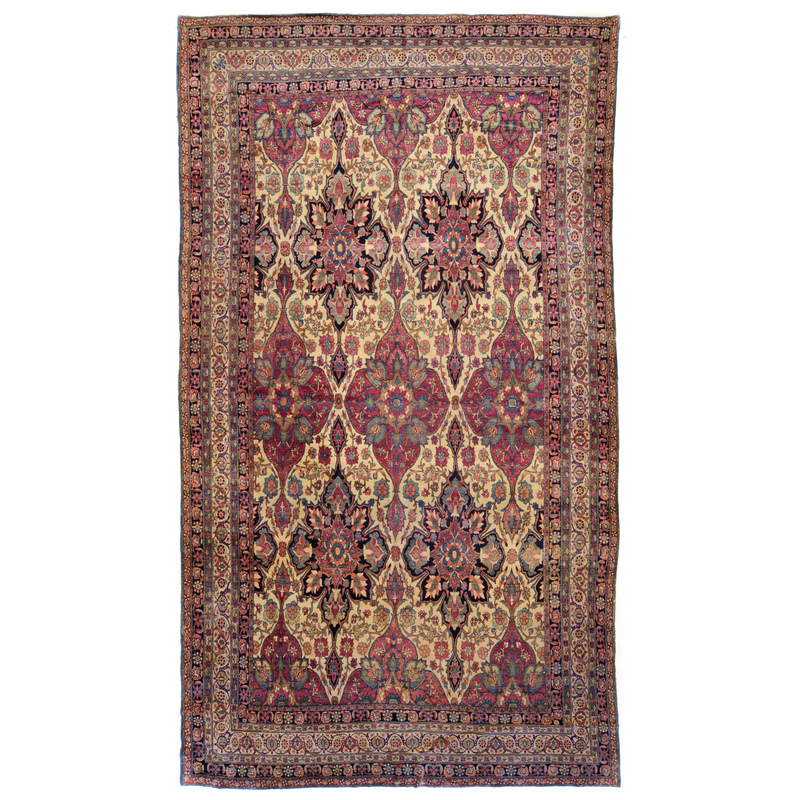 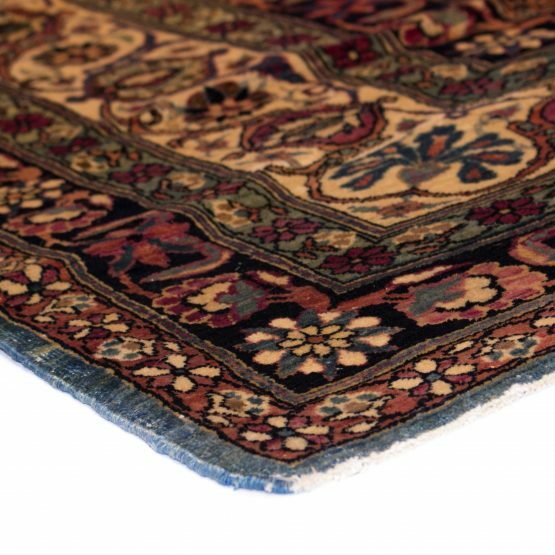 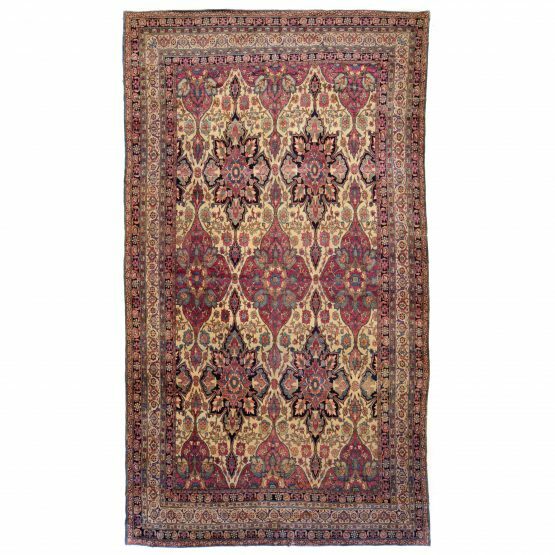 Antique Lavar Kerman carpet circa 1890 with intricate floral pattern motif in a rich color palette with ivorys, reds, indigos, blues, browns, corals and other colors throughout. Evenly worn pile, professionally reinforced fringes, vegetable dyes. 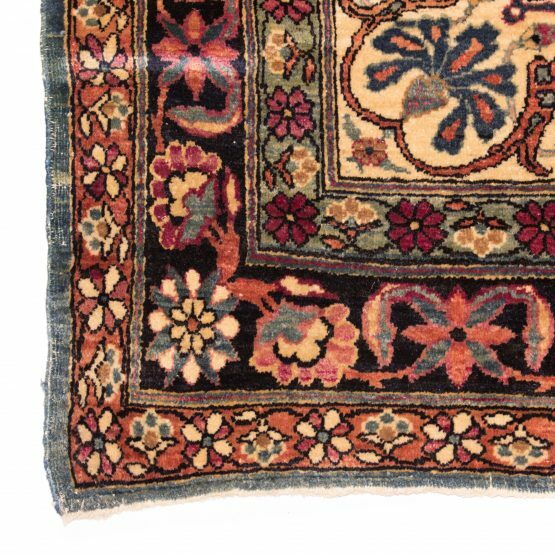 Actual rug size is 9’6″ x 16’6″. 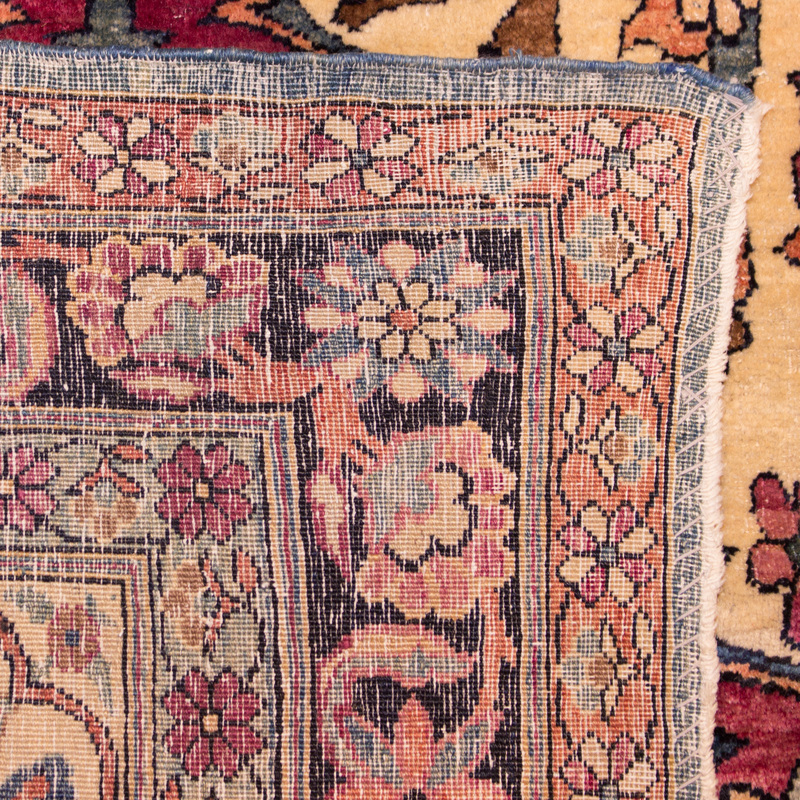 One-of-a-kind, not another one like it, get it before it’s gone.